We walked in to Supabarn bought tahini and coconut aminoes and decided to make Paleo Stay Chicken! It’s so so so so so so yum and you’re going to LOVE it! Don’t believe us? 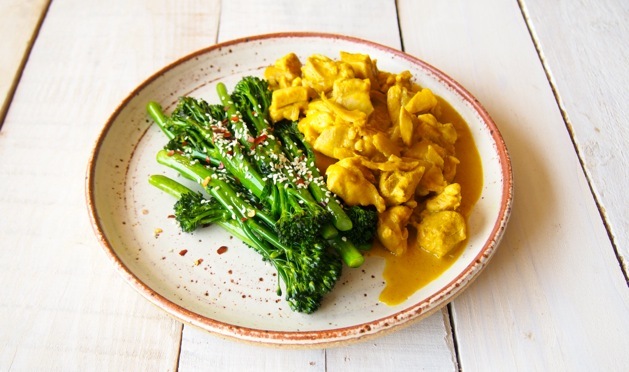 Well here’s out top 3 reasons why you’re going to absolutely love this paleo satay chicken! Do we even need to go any further?! It’s satay! And as you know peanuts are a no-no when living a paleo lifestyle. Coz they’re a legume… not a nut! Crazy right?! We won’t lie, when we go to our favourite thai restaurant we will order the gluten free satay chicken skewers (because YUM). For this recipe we swapped the peanuts for sesames and guess what… it tastes like satay! TWO: Easy peasy to make! 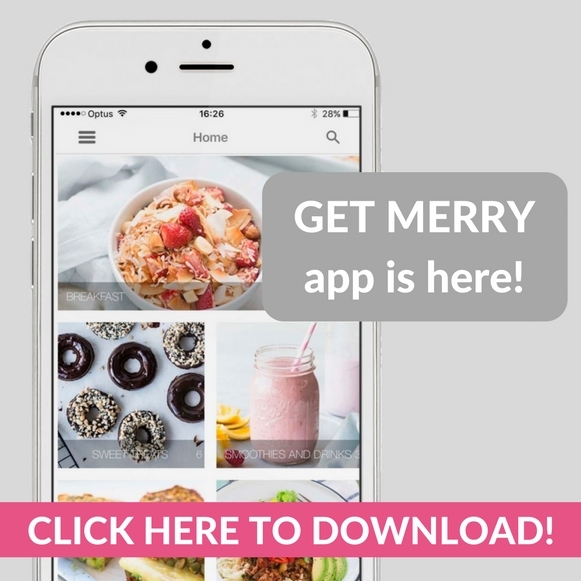 You know we have a couple rules for most Merrymaker recipes (except some of the epic cakes)… every recipe must be easy to make! This recipe will seriously take you under 30 minutes to make. It is perfect for busy weekdays! THREE: Delicious Asian inspired feast! Do you miss your weekly Chinese or Thai take out? 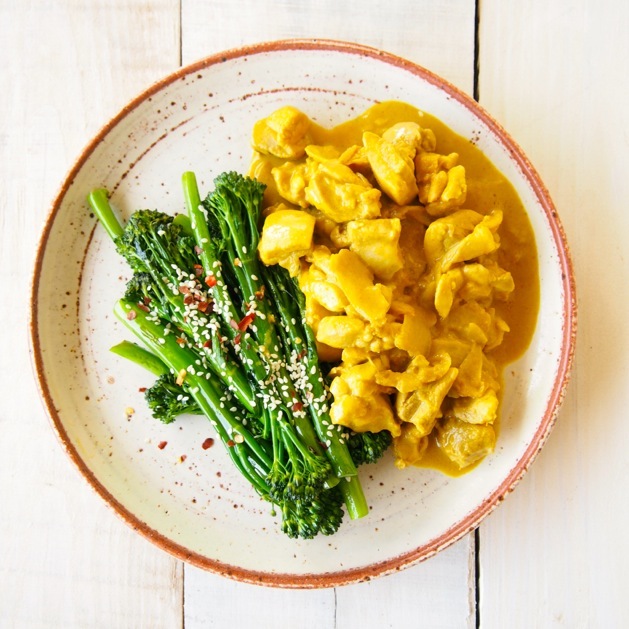 Firstly it’s definitely ok to get takeaway every now and again, there are healthy decisions to make (check out this post about ordering paleo when out) BUT if you make this satay chicken plus this sweet and sour chicken (we really like chicken, you could swap it to pork for variety! ), this san chow bau and this fried cauli-rice you’ll have a drool worthy Asian feast. Get together with friends and make one dish each. Easy, fun and delicious! Let us know what you reckon! Love it? p.s if you LOVE this recipe, then you’ll love our book, it has a whole heap of other din din recipes! 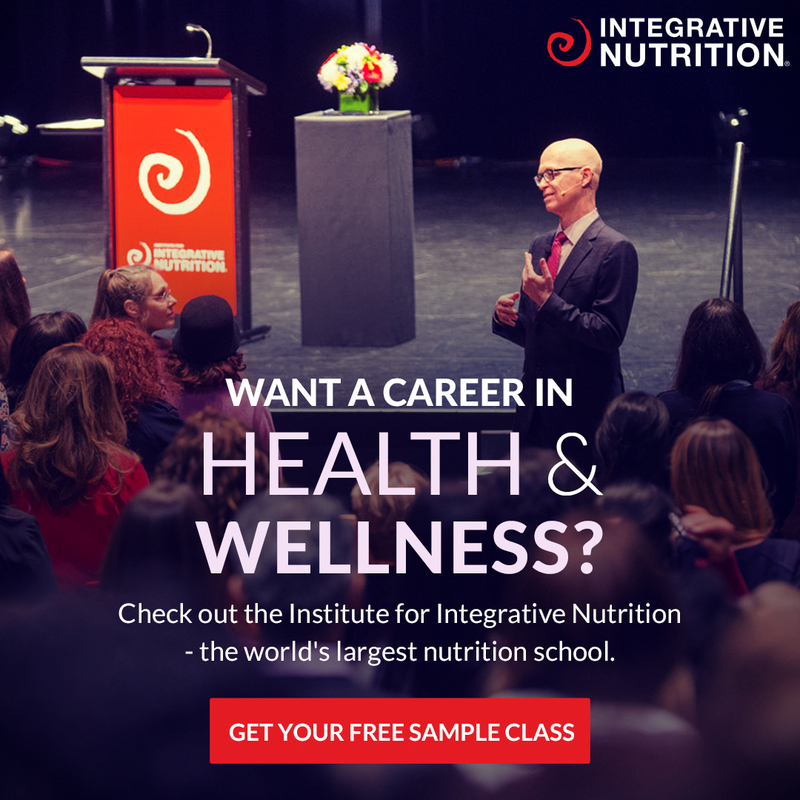 Check it out in hard copy or eBook! In a large fry pan over medium heat melt a little coconut oil and add the chopped onion and ginger, sauté until soft. Add the chicken pieces and cook for about 3-4 minutes or until just white. Stir through the tahini (or nut butter), lemon juice, turmeric, aminoes and honey, the sauce should thicken up a little. Continue to cook until the sauce is heated and the chicken is cooked. Serve with your favourite green, we went with steamed broccolini and topped it with dried chilli and sesame seeds. YUM! If the sauce is too thick add 1 tbs. of water to pan. 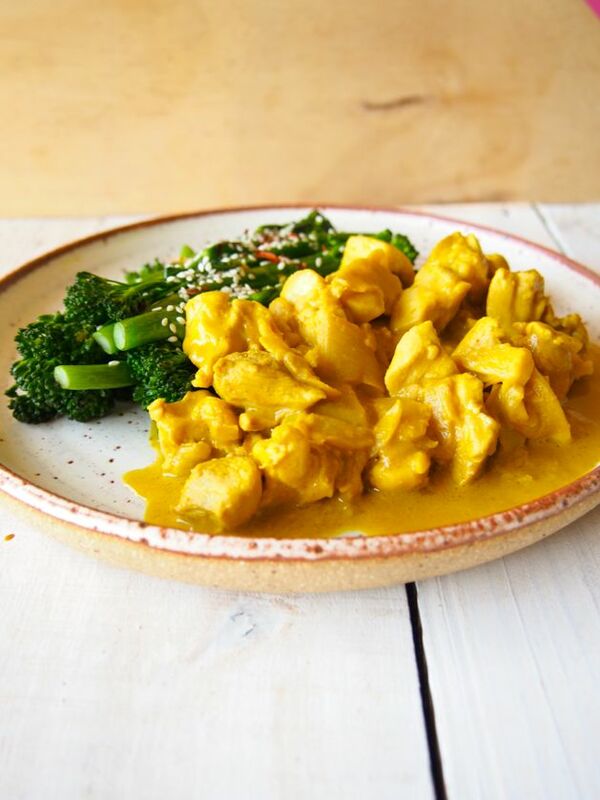 We developed this delish paleo satay chicken recipe as part of our SupaMerry campaign! Read more about how and why we work with brands here!